We're celebrating with Sak's family this year, which means I get to learn about all the Japanese traditions - not just those that Sak prefers, haha. We started with mochi making, using two automatic mochi pounders that cook the mochi rice and then vibrate/churn it into a sticky fluff. Then the giant mochi mass is put into a funnel-shaped mochi cutter to make even pieces. I tried my hand at smoothing the mochi balls but wasn't that great at it. Luckily the aunties fixed them all up nicely! the "flour" is potato starch! 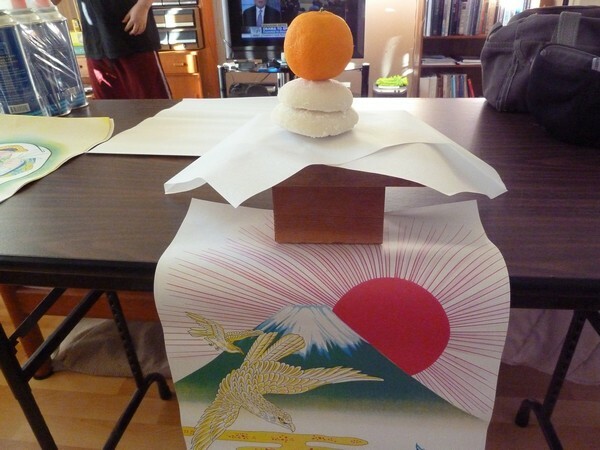 For good luck, stack some mochi and put a small orange on top. I think we used a cutie. Hehe. This kagami mochi sits out during new year's, and Sak's mom put one in the car (while it wasn't being driven of course) for good car luck too. They are so pretty! 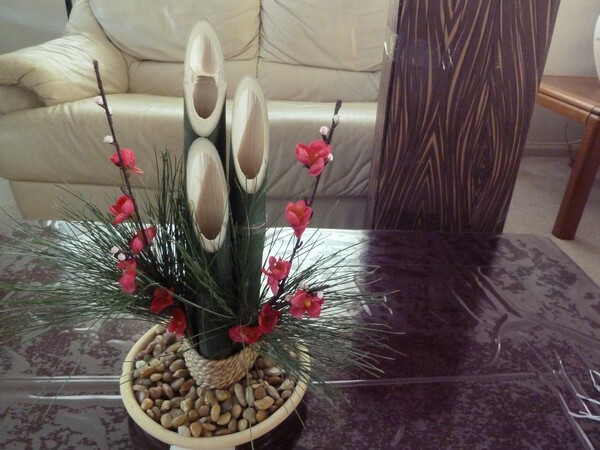 It's made with bamboo, pine needles and plum branches, which represent prosperity, longevity, and steadfastness (according to wikipedia). On New Year's Eve we partied with family and then ate soba noodles as we waited for midnight. Oahu has a fireworks ban in place now (unless you have a permit), but there were still plenty of people lighting up the sky! 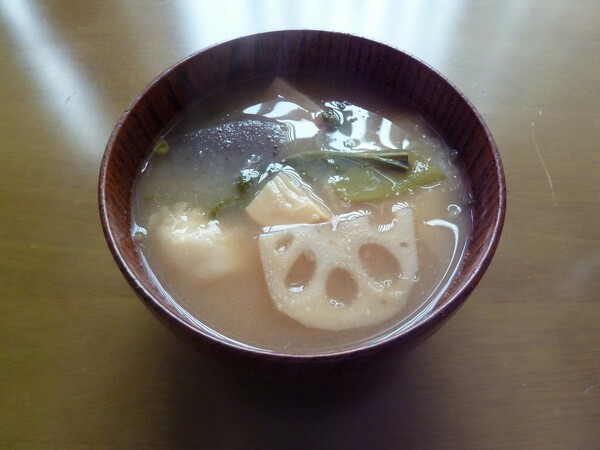 In the morning we ate ozoni soup for breakfast, which includes mochi and assorted root veggies like daikon, lotus root and konyaku. I ate everything except the konyaku. 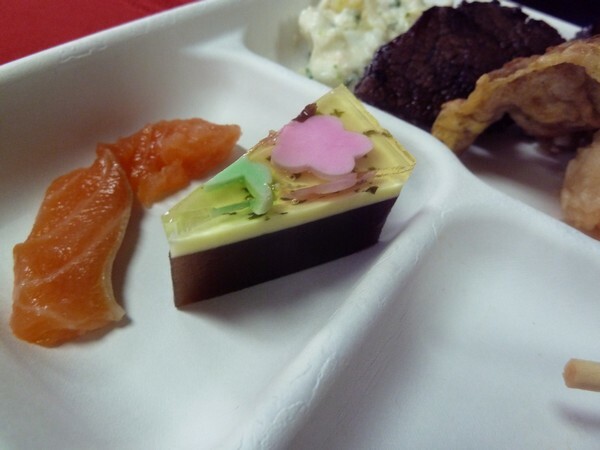 Yam jello is a level of food appreciation I have not yet reached. 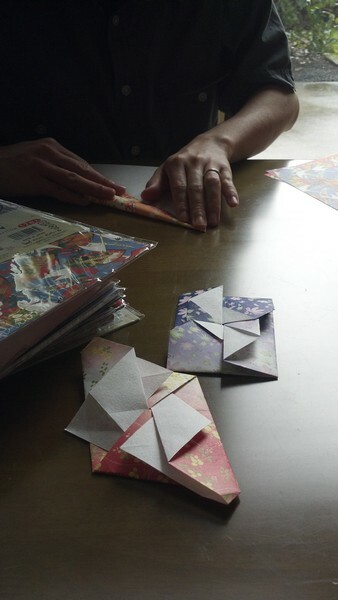 Lastly, Sak helped his mom fold otoshidama money envelopes (the equivalent of a lycee red envelope) for the kids. Sak and I both recieved a few lucky envelopes from generous relatives, even though we are well beyond the normal 18 year old cut off! Learning new traditions is pretty awesome - and I'd like to continue some of these in the future! Though I think it'd just be even more win-win to come back to Hawaii every new year instead, haha! How did you spend your new year? happy new year! homemade mochi--what a treat! hey, you and i celebrated new years day the same way :) ake ome! Yay Hawaii!!! :) That red bean cake is SO pretty!!! With all those layers and that clear layer on top! :D We spent our new year's on a plane... so we kinda saw fireworks... from above. Wow! You celebrated it quite well! :D Did you have a big cleaning before New Years? The mochi looks fabulous! That bean cake is really fancy! I don't think I'll be able to eat something like that! x) I'll probably just hog it and lavish it with lots of camera attention. Sorry for not commenting as often! We did a lot of renovation around our house, so I haven't had time to properly rest! Hope you enjoy the rest of the New Year hype! Yum, this post made me drool! We spent midnight on I-10 between Phoenix and Tucson, since our flight landed at Mesa airport at 10pm. Yippee! I miss having ozoni on New Years (even the konnyaku! ), but Todd and I did have some mochi, at least, so hopefully some of that good luck will rub off on us anyway. =) What a wonderful New Year's Day you and Sak had! Happy new year! This looks amazing. 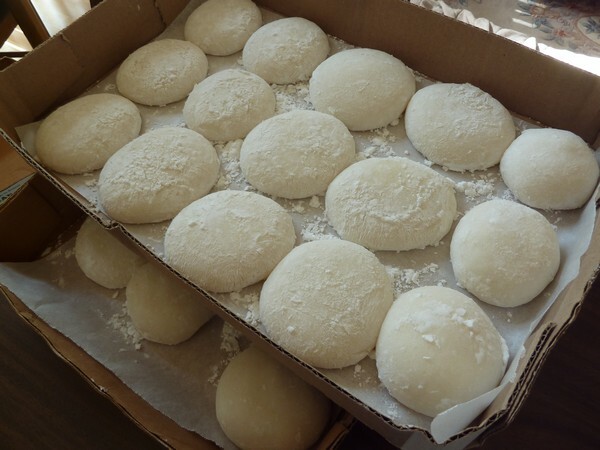 One year, I went to a mochi making party where the mochi was pounded out with a giant hammer. It took several hours to finish. I bet the machine is much more efficient.